Cases are used to document different scenarios in the field of business, medicine, marketing, and legal. It also serves as a learning tool for schools. Cases involve statement of facts and analysis of problems which may or may not have results yet. Our case templates will help you effectively deliver cases in your particular field, so you can arrive at a result or outcome. Our case templates will also help you in to organize systematically each scenario or data that you need to provide depending on your purpose. Select from our different case templates below and determine the best case that caters to your need. 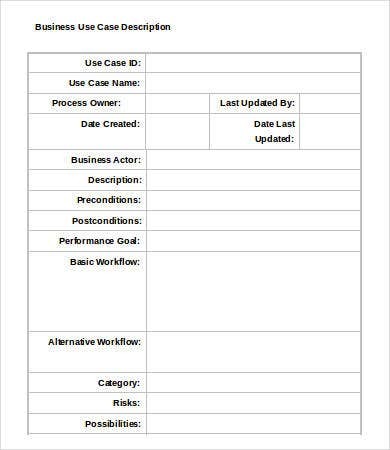 Business Use Case Template. Determining the possible risks and results that a particular business goal can have? Use our business case templates to propose business terms to your boss or team. Sample Use Case Template. Have a non-business proposal? Use the sample case template for all generic proposals. 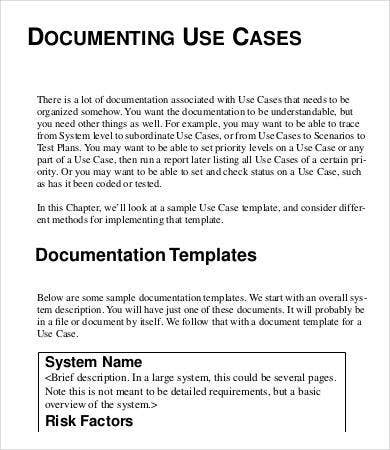 Use Case Document Template. 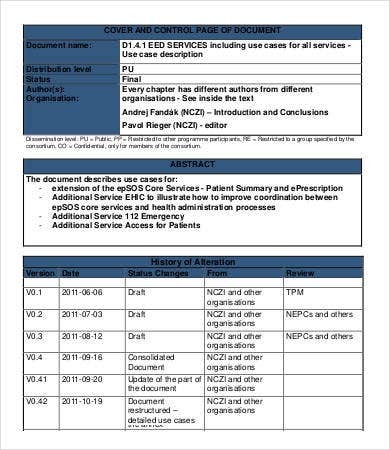 Provide a comprehensive view of your case with this case document template that outlines your background and conditions in a step-by-step manner. 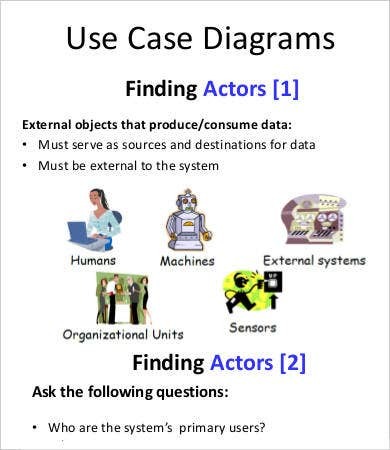 Use Case Diagram Template. Illustrate your case with this case diagram template for better understanding. 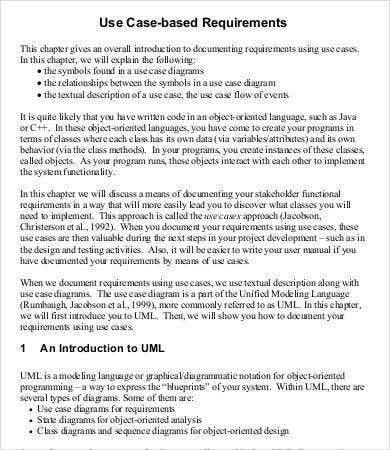 Use Case Based Requirements. Document your stakeholder’s requirements with this use case based requirements. 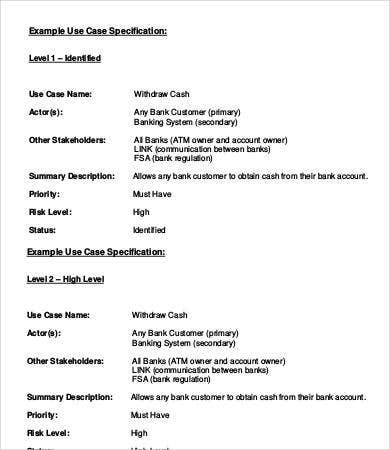 Use Cases Description Template. Want to present your case in a table? This case description template will work best for you. 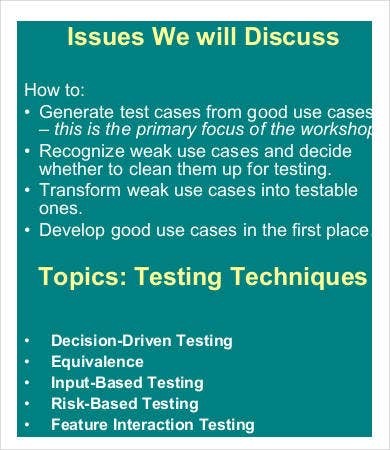 Use Case Testing Template. Testing a hypothesis? This case testing template will highlight your case effectively in bullet points. Use Case Scenario Template. 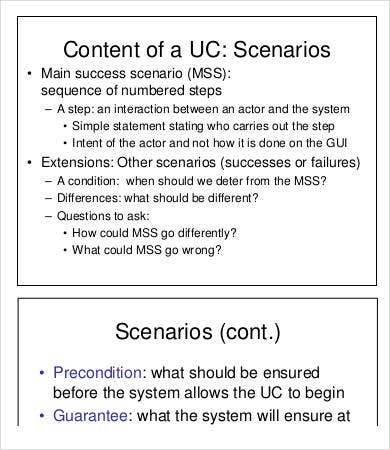 Want to present your scenario in slides? 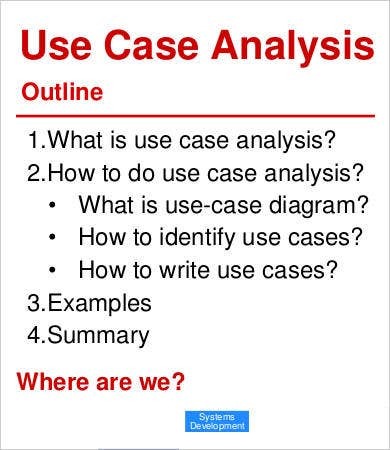 This case scenario template will let you seamlessly present your case. Use Case Specification Template. Present your case in different levels with the case specification template. Use Case Analysis. Use this template for let your audience quickly grasp points of your case. This template also analyzes cases briefly. Informal test case. An informal test case involves a hypothetical scenarios, which not written and done, but discussed in groups. The analyses and results arising from the group study are then documented using a simple case format like diagram. Formal test case. Formal tests cases ensure that all requirements are met before doing the analysis. The test is done using a traceability matrix or a table describing the relationship between documents. After all requirements have been done, the actual test is performed with results that have an expected input and output. 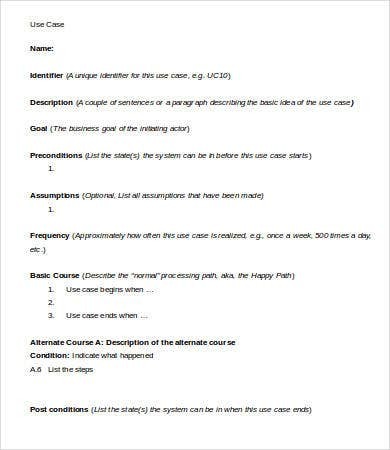 Test cases usually adapt a format similar to the Use Case Specification Template that we listed here. To ensure that your test case provides an precise and organized results, make sure to use the right format provided by your school or business. 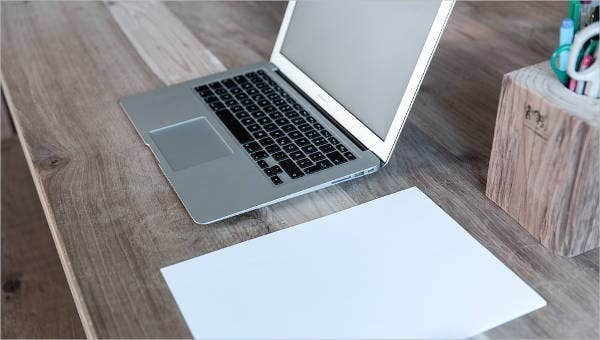 You can rearrange our free case templates in any way, so long as they follow a step-by-step process of determining analysis of facts and scenarios.